When we get to the end of our lives, it’s nice to think that we are going to be able to receive high quality care from the people we love, and more importantly, from the society we grew up in. The elderly have certain requirements that younger people do not, and making sure that our elderly loved ones are comfortable in their old age is something that should be high on most people’s lists of things to provide. If you have never spent much time thinking about what exactly is entailed when we talk about elderly care, below is some information that will hopefully give you a better idea. Elder care, or senior care can best be defined as a set of care needs that are taken care of for senior citizens as they go through old age. It can include everything from home care, to transportation assistance and occupational and physical therapy; the list is really endless and a lot of it varies from person to person. It is really about making sure that the daily needs of the elderly are taken care of. It is important to remember that the elderly have many of the same wants, needs and fears that the rest of us have, but the aging process can make providing those things for themselves more difficult than they were when they were young. Elderly care and senior care can be long- or short-term, highly involved, or just lending a helping hand. Many seniors require assistance bathing, getting in and out of bed, eating, grooming, looking after their pets, managing their medication, transportation to and from appointments and activities and much more. 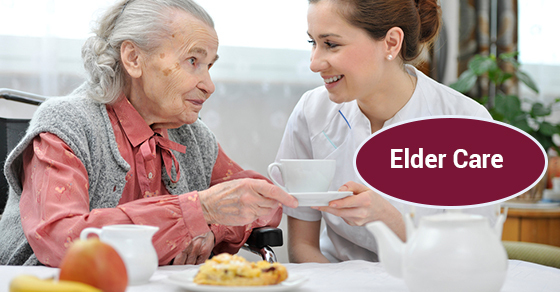 Elder and senior care is something that requires a joint effort, often on the part of the family, nursing, hospital and care facility staff to ensure that our senior citizens are as comfortable and well looked after as possible during the final stage of their lives. Often growing old can come with a unique set of concerns and preoccupations about life and death that the rest of us simply can’t understand because we are not there yet. Making sure that the elderly are well looked after and that there are people on hand to assist them when they need help is the right thing to do. Most of us are fortunate enough to have an elderly family member in our lives who adds a tremendous amount of wisdom and life experience to our own. Treat the elderly in your family as you would hope to one day be treated when you reach that stage of your life: with compassion and dignity, and consider what elderly care really entails.